and Heath Cannon, the guy she'd rather forget. Being around Heath reminds Lora of another side of herself-the less serious, more carefree side. And while that might be a welcome change, this is not the time. 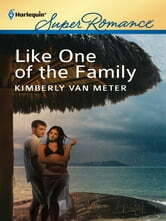 She has to be strong to make the tough decisions required to save the resort. So these feelings need to stop. Now. But it may be too late. Because those beaches, the water and Heath seem to be changing everything.